In her blog “Good Thinking,” research psychologist Denise Cummins explains why the topic of allowances raises such a high level of concern and confusion for parents. Allowances are powerful things. They are a child’s first exposure to the power of personal choice that financial means can bring. It is for this very reason that parents approach it with a mixture of fear and trepidation. To some, it is the quintessential way to teach children financial literacy as well as character traits like patience, thrift and generosity. To others, however, allowances are dangerous things that take away parental power and authority, and teach nothing more than greed. Even parents who agree that childhood allowances are “a good thing,” will disagree on when to start, how much to give, and what to expect in return. Despite varying opinions, the majority of personal finance experts and childhood development specialists agree that an allowance is an excellent teaching tool. When should I start giving an allowance? Ron Lieber, New York Times columnist and author of The Opposite of Spoiled: Raising Kids Who Are Grounded, Generous, and Smart about Money, recommends starting early – at preschool age – because even three and four-year-olds can distinguish between needs and wants. Others recommended waiting until kids are about five when they begin to understand how the different denominations work, or six years old when their understanding of the concept and value of money emerges more fully. How much allowance should I give? Give your kids just enough so that they can get some of what they want, but not so much that they don’t have to make a lot of difficult trade-offs. Let them own those, so they know what it’s like to make financial decisions that resemble grown-up ones. This is a rough approximation of an adult budget, so it’s literally foundational. More importantly, the jars are stand-ins for the values that we hope to imprint through conversations about money. Should an allowance be linked to chores? Although a traditionally held viewpoint, most experts now recommend separating household chores from receipt of a regular allowance. Their reasoning is that your offspring should learn responsibility and the need to contribute to the family without getting paid for it. However, apart from basic household chores, kids can be paid for larger tasks. Golden explained that many parents choose to give a base allowance whether their younger children and teens have earned it or not, and then pay extra money for bigger chores. 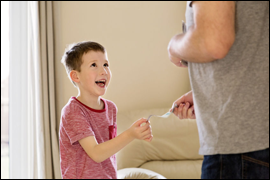 Above all else, Lieber reminds us, “Allowance is instructional, and money is a tool.” Taking the long-term view regarding the benefits of helping your children to adopt healthy financial attitudes and behaviors will guide your decisions about allowances and the money lessons you convey. Sources: “Should You Give Your Child an Allowance?” by Geoff Williams, http://www.US News.com; “You’re Doing Allowance Wrong” by Ron Lieber, http://www.Slate.com; “Should You Give Your Kids an Allowance?” by Denise Cummins, Ph.D., http://www.psychologytoday.com.